Horslyx Mini Licks all contain the essential vitamins, minerals & trace elements, that your horse needs. They can be used as a handheld treat or training aid. Mini Horslyx can be useful in a number of situations, for example: - To distract your horse during stressful times, like farrier or vet visits, or clipping. - Encouraging a difficult loader - To help catch a tricky horse - To do stretching exercises Mini Horslyx also benefit from containing Biotin, Methionine & Zinc, for healthy hooves, as well as anti-oxidants & essential amino acids, to help keep your horse in optimum health. They contain 3 days supply of Vitamins & Minerals. 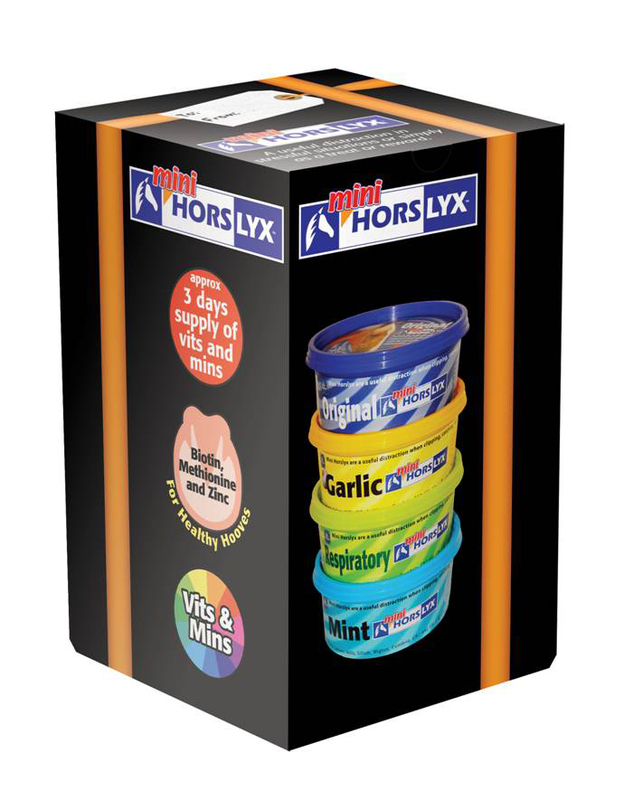 Mini Horslyx are suitable to be fed to all types of horses & ponies including those that are prone to laminitis (initially with restricted access, so they don't over-eat). Horslyx is part of the BETA NOPS scheme.